Who would have thought that a checklist symbol could be so important and useful when working on Google Sheets? Whether you are making a to-do list or keeping a check on what all things you need to do, you need a checklist. Unlike Microsoft Excel, it is not that easy to add a checkbox in Google Slides. However, it can be done. 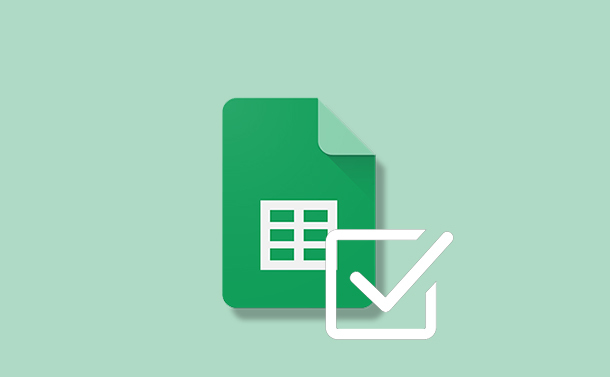 In this post, we have listed a step by step guide to insert a checkbox in Google Sheets. It has always been possible to add a checkbox in Google Sheets. Earlier, you needed to use CHAR function and a number related to the special character which is similar to a checkbox. However, now it can be done with rather an easier process. It can be inserted from the toolbar now. Step 2: Go to Google Drive and locate and open the spreadsheet on Google Sheets. Step 3: Now select the cells where you want checkmarks. It is better to create a list first and add checkmark by selecting the next empty column beside your list later. Step 4: Locate Insert from the menu bar and click on it. From the context menu, choose Tick Box. Step 5: In case you have inserted checkmark in the wrong cell, you can remove it by selecting and pressing Delete. Note: You can customize the size of the checkboxes. To do that, you need to change the font size from the toolbar at the top of the window. Step 1: Write down your to-do list and select the column cells beside it. Step 2: Right-click on the selected cells and from the drop-down menu, choose Data Validation. Step 3: You will get Data Validation window. Select “List of items” beside Criteria option. Step 4: Now copy , from the Google Doc ( Go to Insert-> Special Character-> type check mark to get and multiply to get ) Separate both the characters with a comma. Step 5: Click Save and you will get a drop-down menu in the selected cell area. In this way, you can select for the work done and for the pending or incomplete task. A check mark in Sheets can do wonders as it acts as a simple tool to maintain the list of daily errands. Moreover, it can also be used as data collecting tool to manage and organize your data on Google Sheets.